Why do you Need to Recharge Your Battery? 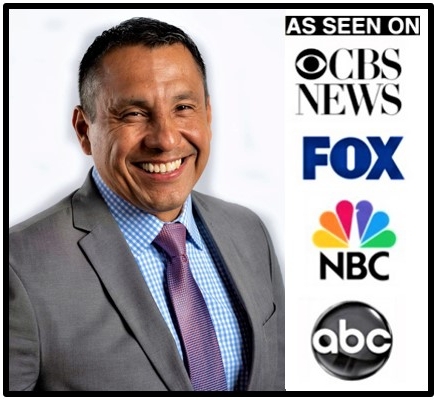 Daniel Gomez is a Motivational Keynote Speaker, Leadership Developer, Team Builder, Sales Trainer, and International Best Selling Author. Daniel is a dedicated husband and father of three amazing children whose passion is to elevate individual’s lives to be extraordinary. Daniel Gomez's energy and enthusiasm capture the audience's attention from the opening moments of his presentation. He engages and interacts with them throughout his program, and his sole desire is to unlock the untapped potential in people's lives. Daniel loves connecting with his audiences and making it personal. If you are looking for an authentic, motivating, and delightful speaker for your next event, then Daniel is the speaker you have been looking for! "To Inspire millions of people to love, value, and believe in themselves and in their own abilities"